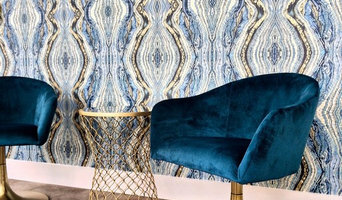 STYLE • CONSTRUCTED Tuscan Blue Design brings our unique blend of interior design education, vision, creativity, professional experience, and project management skills to every interior design solution. Our services include space planning, interior architecture, renovation & remodeling, kitchen & bath design. We can also provide interior furnishings & fixtures to complete the spaces. From laying the foundation and forming a team, to sourcing materials, we join you during every step of planning your project. In an initial appointment, we listen to your goals and needs to get a thorough understanding of your desired direction of the project, as well as any specific challenges that my occur. Our goal? We want our clients to leave this meeting excited for the adventure ahead and confident in the design process! 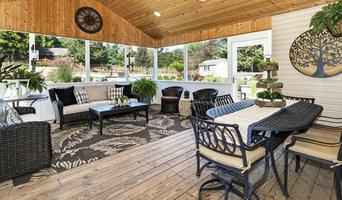 Hagerstown Interior Design & Custom Window Treatments - Best of Houzz! 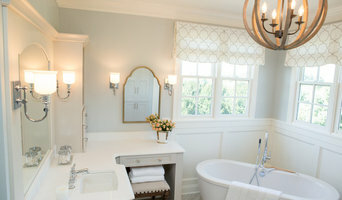 At PT Designs Inc we specialize in one thing...beautiful design! We believe great design starts with personalized service that not only meets our clients needs but surpasses their expectations! Whether you yearn for time honored traditional decor, casual elegance or modern design; it is our goal to design spaces that reflect your taste and lifestyle while meeting your budget needs. We work collaboratively with clients to source the perfect products that meet your design style and budget. The best part is that we accommodate YOUR schedule and needs by meeting on location at your home or office and we work with many of the areas reputable contractors to offer complete turn key service. Whether you are looking for a few window treatments, a redesigned space in your home or office, or a remodel project, our years of experience, attention to detail and turn key service leaves no stone left unturned. We take pride in offering the utmost in attention to detail and consideration of YOUR style and budget needs culminating with spaces that reflect a sense of casual sophistication and your unique personality. Call or email today for a complimentary initial consultation. References Available. Very passionate about design, and I must say I love everything about this industry. Four years in an accredited design program definitely provided me the tough skin, drive and motivation to make a difference in the world of design! I have a wide range of experience and expertise in many areas. Need design assistance or even just some direction? 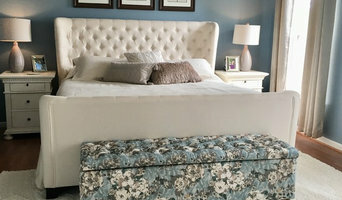 Do not hesitate and contact Heather Lynn Interiors to begin your design experience! Specializing in affordable and personalized interior design. Services to fit any clients needs. Customer service is our priority. We hope to have the pleasure to earn your business. Whether it’s a new design for your kitchen, bathroom, basement or aging in place needs, Fairfax Design Solutions is here to walk you through the entire process so that you understand all of the steps. We will sit down with you in your home to listen to all of your design and remodeling needs. We will create a floor plan for you and show you computerized renderings of your design until you are happy with what you see. Rebecca Mann Interiors specializes in interior decorating, home staging, and redesigning by creating spaces that are not only beautiful and inviting, but are also functional, and based on my clients' wants and needs. Our homes should be sanctuaries. They should be warm and inviting. A well designed room that follows the principles of design can truly transform a space and I would love to share my expertise to create a space for you that is so inviting, you won't want to leave. Investing in your home, a place where you spend much of your time, has such a high return. Well designed spaces can have a positive effect on your mood, productivity, and overall well-being. Contact me and let's create an inviting sanctuary in your home. I recently had a client who said she wasn't surprised when she found out that I had been an elementary teacher for 31 years. She said she could tell in how "gently" I shared any thoughts that didn't quite mesh with what she was envisioning. Customer relationships are very important to me. I want my clients to feel extremely comfortable in sharing their thoughts and wishes. I will always strive to create a design plan that doesn't primarily make me satisfied, but you as well. It's your home and I will do my best to work WITH you to make your home a haven that is a true reflection of you. Decorating has been a passion of mine for as long as I remember. Instead of playing with doll houses as a child, I was decorating cardboard boxes. For the last 17 years, I have been sharing with numerous clients my joy of decorating and my expertise that I've gained from training and experience. Decorating your home should not be intimidating. It should be fun and exciting. If you are considering a decorating project and you want a decorator who will listen to you, share her ideas "gently", be respectful of your budget, educate you along the way, make the process enjoyable and exciting, and bring beauty and function to you home, I'm that decorator! Interior design consultation to create highly personalized spaces that nurture and inspire. 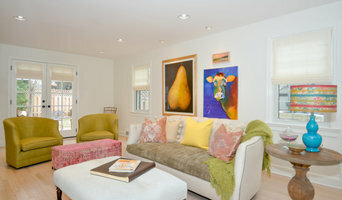 Kathleen brings together her design talents, (from her experience and study at The Corcoran College of Art and Design) and her understanding of people and life changes, (from her 30 year career as a Social Worker) to create unique spaces that support and encourage people who are making changes in their homes and in their lives. She assists in the discovery of what her clients love and combines these elements with functionality to create a nurturing home. Are you cleaning-impaired? Decorating-challenged? Time-constrained? Stop looking- You found your designer. Kids, cats, dogs, spouses and significant others...whatever the species, we are your greatest resource for a happy home, mixing your style with comfort and durability that will hold up to whoever or whatever you live with. Look beneath our hundreds of gorgeous project photos and you'll find thought and care in every room we design- from the scratch-proof sofa fabric (for our cat owners) to the remote-controlled window coverings that stay clear of little hands (for our new parents). Be it lighting, flooring, seating, windows or walls, we carefully and thoughtfully design solutions that add lasting value, sumptuous comfort and your personality to every space in your home. As the number one decorating franchise in North America, our in-home interior decorating service caters to your taste, budget and lifestyle. We specialize in beautiful interiors ranging from traditional, transitional and contemporary styles. Our priority is achieve the perfect look and feel for our clients through careful assessment of their decorating preference, functional needs and open communications. We strive to be your world-class interior decorator!